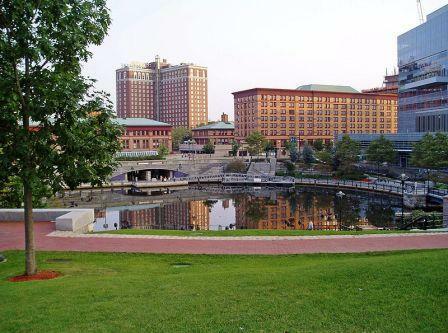 A bustling, busy, and beautiful college community, Brown University, Providence College, and Johnson & Wales, among others, are located here in Providence. 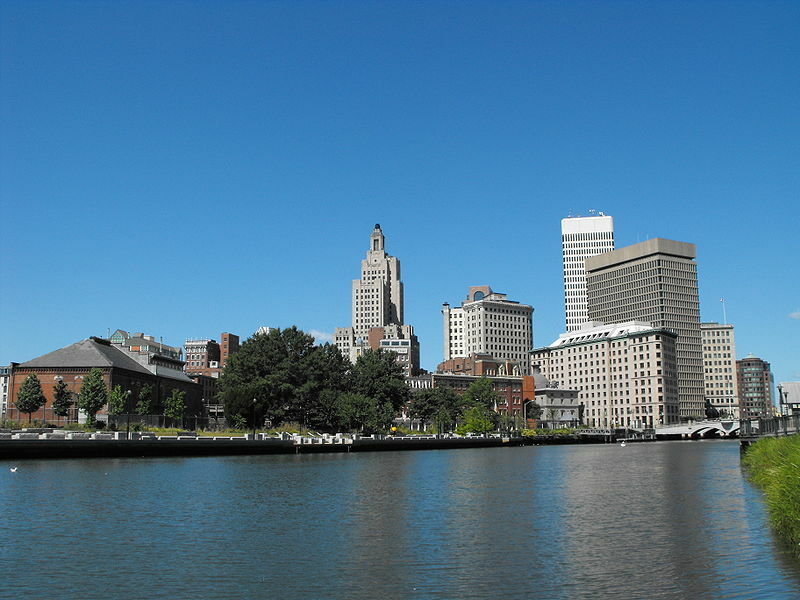 It is the capital of Rhode Island and one of the largest cities in New England. It was founded by Roger Williams as a place where refugees from Massachusetts could experience religious freedom. It is a jewelry center. A bug attraction of Providence is being a fun college town. The city has also worked hard to reinvent itself with many imaginative urban renewal projects along three rivers that had once been paved over . Today a delightful pedestrian waterfront, Waterpark Place, draws in tourists with its bridges, gondolas, cobblestone walkways and entertainment . From Providence you can easily take a train to Boston or New York, or a ferry to Martha's Vineyard. The Rhode Island beaches, some of the best in the nation, are close by. Photo of skyline courtesy of Wikipedia via Flickr and boliyou. Photo of Waterplace Park courtesy of Wikipedia and Loodog. You can live downtown in the city or the suburbs. There are some active adult communities in the area. If you go out of town you can live on or along the water - because of its many bays and ocean frontage, Rhode Island has an amazing coastline. According to the NAR the median selling price in Providence-Warwick RI region was $294,700 in the second quarter of 2018. Providence is now known as the Renaissance City. Waterplace Park, the reclaimed area over 3 rivers is one of the most successful urban renewal projects in the country. Providence is an exciting urban environment and bustling college town. It is conveniently located on the coast and I 95. The scenic beaches and bays of coastal Rhode Island are very accessible. Taxes are high in Rhode Island and its fiscal health is one of the weakest of any state. Cultural institutions include Opera Providence, the Rhode Island Philharmonic Orchestra, and the Tony Award-winning Trinity Repertory. The Providence Public Library is first-rate with 9 branches and a charming Athenaeum. Residents can college sports at Brown and Division I basketball at the Friars of Providence College. As is typical of a city, the crime rate in Providence is above the national average. There are 8 hospitals including Rhode Island Hospital and Miriam Hospital. Transportation options include Amtrak, I 95, TF Green Airport with its discount carriers, as well as fast ferry service to Martha's Vineyard.